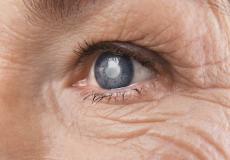 An intriguing American-Canadian study proves wrinkles around the eyes might not be such a bad thing. According to this new research, the more wrinkles a person has, the better chance observers have believing in another’s emotions. Scientists at both the University of Miami and Western University showed a group of participants pictures of people with and without Duchenne marks around their eyes. A few of the emotions people pictured were asked to express included joy, fear, and sadness. After reviewing the survey data, it was clear that study participants believed the emotions expressed in people with Duchenne markers were more truthful than the others. Participants also noted that the people with Duchenne marks seemed more vibrant than non-Duchenne photos. Researchers believe this study gives biologists an important clue into the mysterious evolution of human facial expressions. In particular, study authors say this research highlights the importance of eye constriction in the interpretation of other people’s emotions. Dr. Daniel Messinger, who teaches psychology at the University of Miami, was the lead researcher on this study. A few other important scientists involved in this research include Drs. Andy Yuan Gao, Nour Malek, and Julio C. Martinez-Trujillo.